Eat like a local on a food tour and discover why Hong Kong is one of the food capitals of the world! Our Food Tours last 4 hours and provide a solid introduction to Hong Kong’s food which is primarily Cantonese Chinese cuisine with small differences here and there which reflect the city’s mixed British and Chinese heritage. Our Hong Kong food tours are immersive experiences meaning that we will take you to very local restaurants where the level of English spoken is low and you are likely to be the only tourists in the restaurant. One of our food stops is a ‘hole in the wall’ style meat restaurant so if this sounds like it might be too local for you please don’t book a food tour. Instead, book a Private Customised Tour and ask us to include some foodie elements into your tour. We offer both a public group and private food tours. Public group tours run on Monday, Wednesday and Saturday mornings. Private food tours run Monday to Saturday and can start any time before 2:30 pm. A private 4-hour immersive food tour. 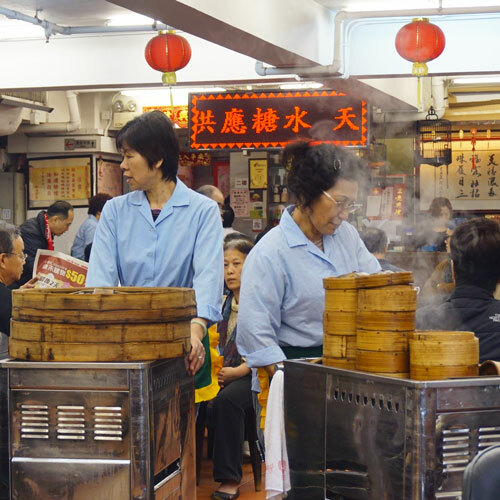 Learn about Hong Kong’s food with 5 foodie stops across Hong Kong Island. 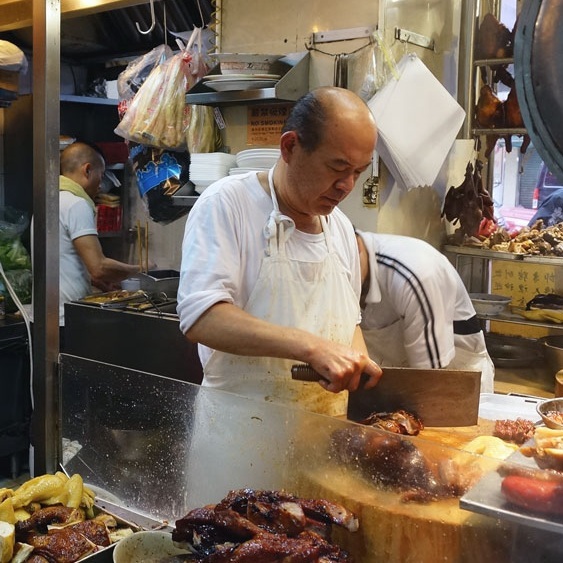 Enjoy delicious, high quality food in local eateries as we explore Hong Kong’s food culture. A private tour gives you the benefit of being able to enjoy the tour at your own pace. It also allows for the option of adding on an additional hour which can be used to incorporate some extra sightseeing based on your interests or to have your guide meet you at your hotel rather than the prearranged meeting point. Private tours are 100% customisable so if you want to take one of the food stops out and add in a beer break or some very local street food we can do that! If you book a small group tour you will join a group of other visitors. We take a maximum of 9 guests on our small group food tours in Hong Kong so it is still an immersive experience with lots of one-on-one time per person with the guide. You will need to be comfortable talking to and sharing your dining table with a group of new friends.